I’ve published my first eBook!!!! I am so very, very excited – I’ve just published my first eBook! I am literally floating over the moon, so if something humanoid hits a satellite and spins down into the Pacific Ocean, don’t panic: it’s just me. There are around 40 pages of poems; the rest of the book (another 40 or so pages) is a preview of my forthcoming novel. Have you ever held a dialogue with a tricksome breeze or a young river? Have you pondered your place in the universe, lost hope or found it? Have you felt the fear of failure, or the satisfaction of overcoming your own limitations? 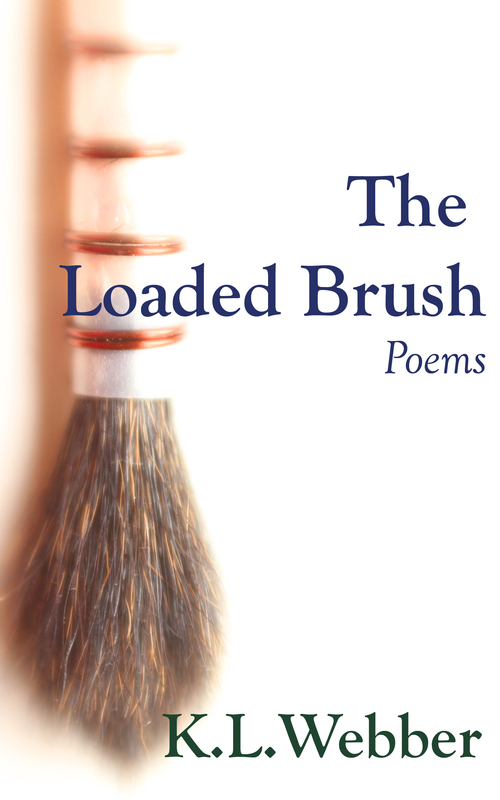 The Loaded Brush explores beliefs, reality, longing, hope and loneliness in the world of imagination in this debut collection of poetry by author K.L. Webber. Ok, so how’s it doing? I’m so glad you asked – at the moment, it’s the Number One Best-seller in Australia & Oceania Poetry!!! See below? Proof! I haven’t yet figured out where in the back-end of the sales side of things I can see the actual number sold, so I’m afraid I have no idea. Well, I enjoy writing them, and preparatory to publishing my first novel (in the next couple of months), I wanted to get to grips with the process of creating and publishing an eBook myself. It just so happened that The Loaded Brush was finished sooner than my collection of short stories. K.L., you’ve convinced me. Where do I buy it? And as soon as I come back to earth, I’ll be tackling the process of getting it publishing on Kobo and iTunes, because not everyone has a Kindle – or the Kindle app. I have both, and love them. So…are you gonna do a review of it? I don’t know. Would that be pretentious? It would certainly be biased. Help me, people! Also, I promise to get some more book reviews up shortly. This entry was posted in Fiction, Uncategorized and tagged ebook, k.l. webber, poem, poetry, self-publish, the loaded brush, webber. Bookmark the permalink.